Our Client Experience Ambassadors have your best interests at heart. Whether it’s the warm smiles, freshly baked cookies or understanding the little things in life that make you happy, we’re always looking to make your experience as enjoyable as possible. Konnie joined Sweet Financial Services in November of 2012. She is your Sweet Financial first impression. She shines in providing a thoughtful, caring, personalized service that delights whether it’s on the phone or when you first walk in the door. Konnie schedules appointments for Ty, Lynne and Amber as well as provides support for other various office projects. 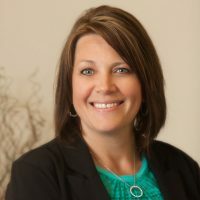 Konnie spent 15 years in marketing of John Deere in Waterloo, Iowa before moving to Fairmont in 2010. When not at work Konnie enjoys spending time with her son Jackson and her husband Steve Seifried, along with Steve’s children Morgan and Max. Marsha joined the Sweet Financial team in January 2015 and is our Director of Communications. Marsha’s talent lies in her creativity. 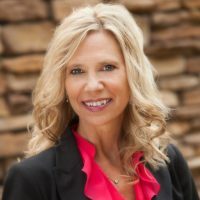 She plays an integral part in all of the coordination and finishing touches that you see at our Sweet Financial and Women Forward events, as well as all Sweet Financial communication. Her responsibilities include client communications, advertising, marketing, planning client events and creating better ways to help improve the total client experience. 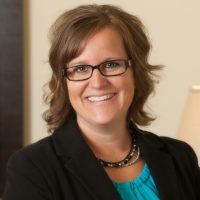 Marsha is a graduate Rasmussen College in Mankato with a degree in Sales & Business Administration. She currently lives in East Chain and has three children, Brody, Garrett, and Kobi. In her spare time, she loves spending time with her kids, boating on the lakes with family and friends, decorating, painting and DIY projects. Jessica joined Sweet Financial Services in March of 2006 and is the team’s Concierge Services Department Manager. Jessica’s role is to primarily oversee the Concierge Service Department to make sure we are meeting client needs beyond investment advice. She is responsible for establishing, maintaining and building client relationships while providing first-class personalized Client Service. 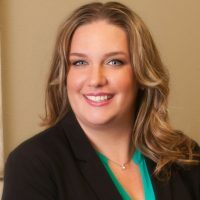 Jessica also supports Bryan & Oliver individually with their client needs and related administrative duties along with providing reporting and accounting information for the Sweet Financial Services Business. 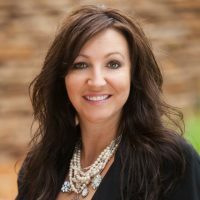 Jessica graduated from Southwest State University and holds a bachelor’s degree in Business Administration with a concentration in Finance. She lives just outside of Granada with her husband, Mike, and two children, Spencer and Lynsie. Sarah joined Sweet Financial Services March of 2012 as one of the team’s concierge service associates. Sarah provides direct support to Ty and his client outside of investment advice. She is responsible for establishing, maintaining and building client relationships while providing first-class personalized client service. She truly loves to helping clients in all facets. Sarah is a graduate of the College of Saint Benedict. She received her degree in Communications in May of 2007. Sarah currently lives in Fairmont with her husband, Dusty and their Weimaraner. She enjoys spending time outdoors gardening, ATVing, boating and indoors she can be found in the kitchen testing out a new recipe. We are excited to welcome Abby Ruppert to our team! Abby is joining our Concierge Service department as a Concierge Services Associate to help ensure you continue to receive dedicated service and attention. In addition to supporting our advisors, she is responsible for establishing, maintaining and building client relationships while providing first class Client Service. Abby is also taking on the role of scheduling appointments for our clients and is excited to connect with many of you soon. She is originally from the Worthington area and currently lives in Fairmont with her husband, Jake. They have three children, Brooke and Morgan 6; and Lucy 2. Before joining our team, she had been employed at Profinium, Inc. for 8 years. In her spare time, she loves spending time with her girls, boating on the lake with family and friends. We are thrilled to have Abby join the Sweet Financial team and hope you get a chance to meet her in person soon! Jacob joined the Sweet Financial team in May 2015 as our first intern in our Wealth Services department and has since joined our team full time. Jacob’s role at Sweet Financial is behind the scenes working on investment strategies and retirement plans. He works beside all the financial advisors trying to come up with the best plan for each client. Jacob finds joy in helping each of our clients with their distint retirement plans and inevitably helping them create the retirement they can’t wait to wake up to. Our planning process has helped create a relationship with clients that goes beyond just finances and helps them to think more about how they want to spend retirement. 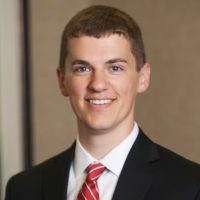 Jacob graduated from Gustavus Adolphus College in 2015 with a degree in Financial Economics and a minor in Political Science. Jacob lives on the lake in Fairmont, with his fiancé Sierra, and their dog Cammie. When Jacob isn’t at work you would see him fixing up his house, out on walks with his girls, or out on the pontoon. 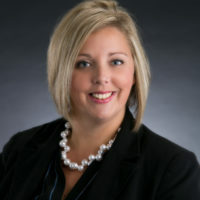 Callee, a Fairmont native, joined Sweet Financial Services in 1995. Callee is responsible for keeping Bryan organized and moving forward so he can focus on the future of our company and clients. She is responsible for scheduling client appointments for Bryan,maintaining his daily calendar, making travel arrangements for the office, and publishing the team’s quarterly newsletter and other miscellaneous office projects. Callee completed her education at St. Cloud Business College in 1989 and worked in accounts payable for a property management firm prior to returning to Fairmont in 1994. The most joyful part of her job at Sweet Financial is being part of a caring and fun-loving team and developing strong personal connections with clients. She and her husband, Chris, have four children, Noah, Seth, Eden and Beau. This feline-friendly family also has two cats, Fudge and Luna. 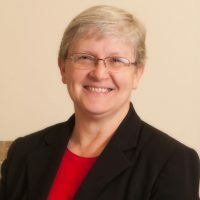 Denise joined Sweet Financial Services in 1996. As the assistant to operations, she is highly involved in appointment preparation for all Wealth Advisors and manages specialized projects around the office and provides superior client service. Denise’s attention to detail helps tie our day-to-day tasks all together. Denise and her husband, Gene, have been married over 40 years and live north of Armstrong, Iowa on Iowa Lake. They have two married daughters, Jamie and Tricia, along with grandchildren Caleb, Lillyan, Parker, Lainee and Leigha. Their oldest daughter, Megan, died in 1981. When not at work, Denise enjoys spoiling her grandchildren and being at home watching the wildlife around the lake and is also active with the youth in her church. Our Client Experience Ambassadors are just one of several things that make our company valuable, trusted and committed to you. Are you our next Client Experience Ambassador? Do you have a knack for ensuring a great customer experience? You sound like you’d make the perfect Client Experience Ambassador.